We are pleased to announce that students who participate in our violin studio will now have free access to violins through our new instrument library, thanks to the generous support of the Classics for Kids Foundation and the D’Addario Foundation. This summer Classics for Kids granted us matching funds to purchase 10 new violins for our instrument library, and D’Addario Foundation has given us a $1,750 in-kind gift to use toward strings and other instrument supplies. To date, Key to Change has cultivated an instrument library of over 25 violins and violas through a combination of grant awards and community donations. Providing free instruments for our students is a critical way in which Key to Change makes classical music instruction affordable and accessible to a broad range of students in South King County. If you are interested in contributing to the Key to Change instrument library, please click here to make a gift. What yoga does for some people, music achieves for others. Sean Greenlee helps underserved children get access to private music lessons, expanding their horizons and view of what’s possible. Greenlee, manager of Starbucks global social responsibility, got interested in the nonprofit Key to Change because his son, a freshman in high school, plays violin. “A lot of diverse kids don’t necessarily see being in an orchestra as a possibility for them,” said Greenlee, a three-year partner. 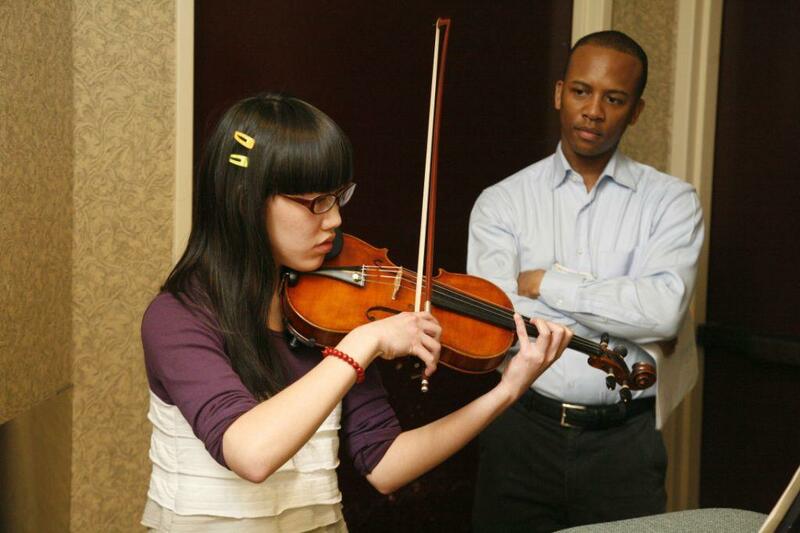 The cost of renting an instrument and affording private lessons can be daunting, which is why professional violinist Quinton Morris launched Key to Change, with the goal of making violin lessons accessible to any interested child. That’s a common sentiment, says Bill Rausch, executive director of Got Your Six, which is military slang for “I’ve got your back.” Got Your Six empowers veterans to lead a resurgence of community in the U.S. by encouraging them to volunteer, get to know their neighbors and vote. Read the full story on Starbucks’ website here.